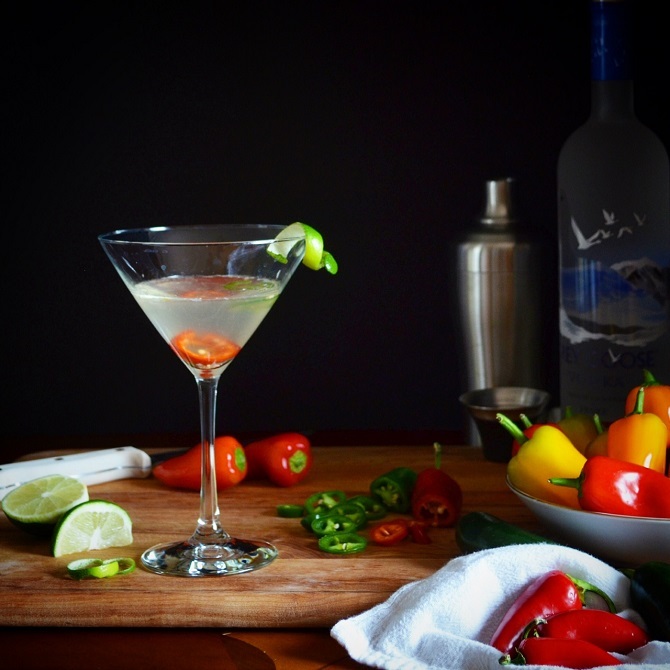 This is my fiery twist on the classic vodka martini. It's spicy with just the right amount of sweet. Make it when you want to turn up the heat. I wonder if 007 would approve of this one. 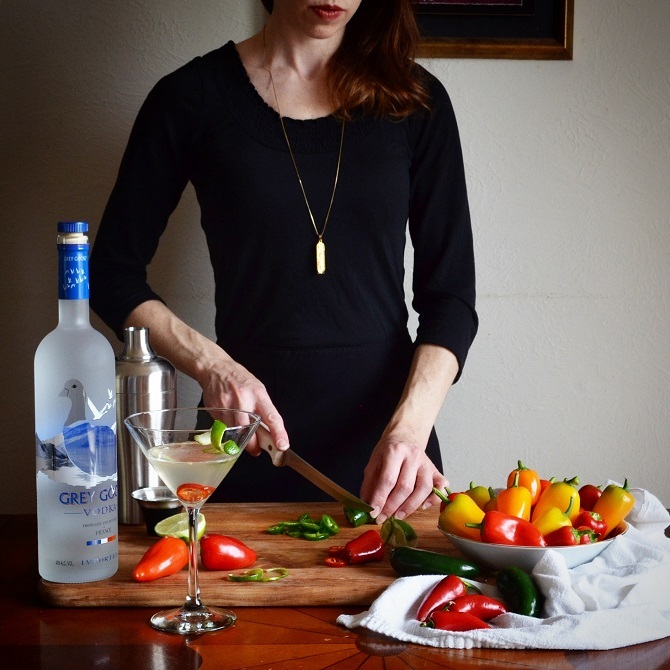 Place the lime quarter, 1 slice of jalapeno & 1 slice of Fresno pepper in the bottom of a cocktail shaker. Muddle together lightly. Add ice, then add the vodka, vermouth & simple syrup. Shake very well for at least 30 seconds. Strain into a martini glass. Garnish with a few more chili slices (to taste) and a twist of lime.